Baileys Beige Wool Cardigan 522113. 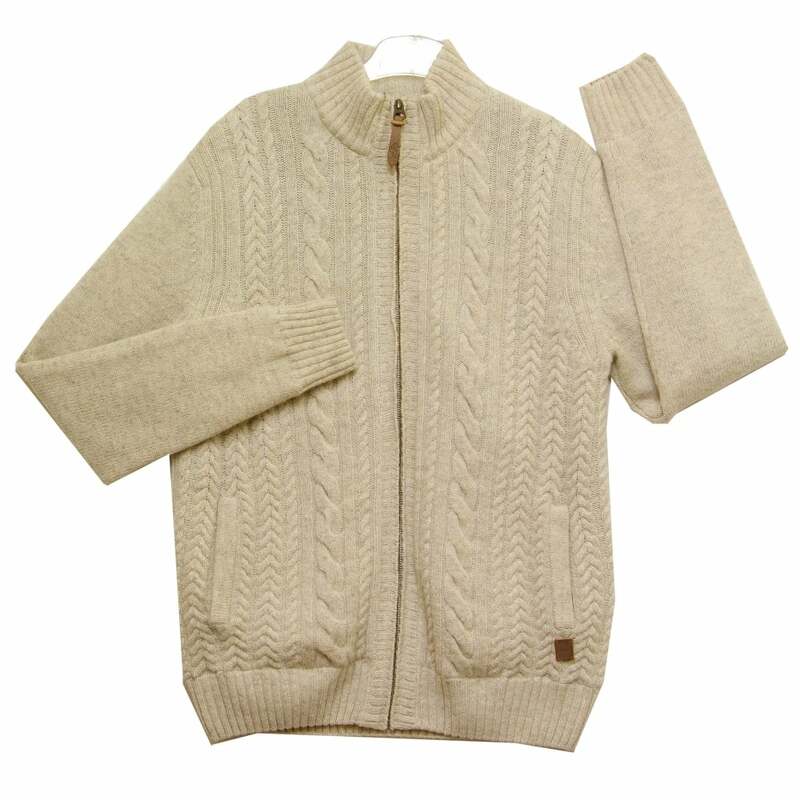 Cardigan, long sleeves, turtle neck, zip fastener, two pockets, in a beige knit with cable design to front panels, grey lining. 80 percent wool 20 percent nylon shell,100 percent polyester lining.